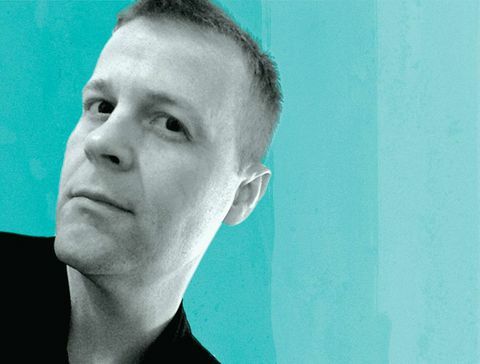 An experimental poet whose work pushes the boundaries of the form, Christian Bök is best-known for Eunoia, a bestselling collection that won the 2002 Griffin Poetry Prize. The Xenotext: Book 1, his decade-in-the-making attempt at "living poetry," was recently published by Coach House Books. His goal? To inject a poem, translated into a string of DNA, into the genome of a bacterium. It's a science experiment as much as it is a book. Bök lives in Alberta, where he teaches at the University of Calgary. Why did you write your new book? The Xenotext: Book 1 is the first instalment in my ongoing project to create a work of "living poetry" – a work capable of outlasting every civilization, persisting perhaps until the last dawn, when the sun itself explodes. I have succeeded in getting the construct to work in a sample of E. coli, but I am still trying to get the poem to express itself properly in a sample of D. radiodurans, a bacterium capable of surviving in even the most deadliest of environments. I suppose that I have written this book in the hope that I might frighten both my allies and my rivals by making literal all our moribund homilies about the "immortality" of art. What's your favourite word to use in a sentence, and why? I have lots of favourite words, none of which I typically use in sentences: myriarch; undecillion; numinousness; scalenohedron; chryselephantine, among many others. I have usually said that the word eunoia is great, because it is the shortest word in English to contain all the vowels, and it refers to the "goodwill" of an elegant thought – but the overuse of the word online has made me feel less invested in its prettiness. I know that my favourite adjective is probably the word dark, since it makes almost any noun look good – and I think that the best verb of all is probably the word dream. What scares you as a writer? Most of my projects are works of "conceptual literature," all of which push language to its "limit-cases" under conditions of duress. I often write poems through the use of procedural constraints that often court "the impossible," and, consequently, I fear that I might eventually set for myself a task that cannot in fact be done because the language itself cannot accommodate the rules that I have set for the outcome. I have, for example, been working on The Xenotext for more than 15 years – and I still do not know if I can succeed at making the poem work according to the protocols of this project. Which books have you reread most in your life? Oddly enough, the books that I have reread the most in my life are the four novels in the series, The Book of the New Sun by Gene Wolfe – a tetralogy of fantasies, which include: The Shadow of the Torturer, The Claw of the Conciliator, The Sword of the Lictor and The Citadel of the Autarch. The four books retell a poetic legend about the exploits of a torturer, who wanders through the landscape of a dying, alien Earth in a distant future, eons from the present. The prose is beautiful, and the lyrical visions of the future are haunting. I have read the series four times, and I can imagine doing so again. Who's your favourite villain in literature? My favourite villain in literature is HAL 9000 from 2001: A Space Odyssey by Arthur C. Clarke. HAL 9000 is, of course, a psychotic, heuristic algorithm, responsible for piloting a spacecraft to Jupiter, before being lobotomized by an astronaut. I am fascinated by the idea that we are now producing the successors to our sentience, but we are doing so without knowing if they might evolve to regard us as their opponents in the exploration of the cosmos. I think that the machine in the story is frightening, in part because it regards us as the source of its ultimate insanity, and hence the machine must eliminate us in order to save its mind.